Haydale Composite Solutions are pleased to announce the production of graphene-enhanced electrically-conductive carbon fibre-reinforced composite materials with improved resistance to damage from a severe lightning-strike event. Carbon fibre-reinforced composite materials, as used in many aerospace structures and components, are vulnerable to damage from lightning strikes. However, the addition of functionalised nano materials to the epoxy resin through the use of Haydale’s patented plasma functionalisation process, HDPlas™, has been demonstrated to significantly improve the electrical conductivity of the epoxy resin which allows the laminate to dissipate the energy of the lightning strike throughout the structure thereby reducing the localised heating which causes damage in a lightning-strike event. Importantly, these improvements have been achieved without any major issues with existing manufacturing processes. 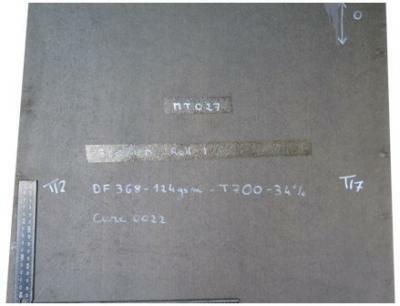 The mechanical properties of the modified material have been evaluated and it has been shown that the properties are maintained or improved by the addition of specific nano particulates. Particular attention has been paid to the matrix-dominated properties such as in-plane and inter-laminar shear. 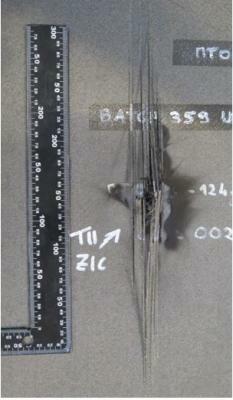 Improvements of 16% - 20% have been recorded in the measured modulus whilst maintaining the strength of the material. The HDPlas™ graphene-modified material has been used to manufacture an aileron inspired by a design from Airbus for their Eco-Flyer aircraft. The aileron is nearly 4 m in length and uses a novel design and manufacturing approach. The aileron was designed and preliminary sized by Airbus and optimized by Stanford University Composites Design Team. Professors Steve Tsai and Sung Kyu Ha (Hanyang University) have optimized the original Airbus design and achieved a significant weight reduction, based on the latest Trace Scaling theory published recently. Also, the CFRP used in the aileron manufacture is shallow-angled, thin ply construction, called C-PLY™, supplied by Chomarat and features other composite-specific design aspects that have been advocated by Professor Tsai, for many years.. The aileron can be seen on Haydale’s stand number M13 in Hall 5a at JEC World 2017 from March 14 - 16. Haydale Composite Solutions staff will be available to discuss this new technology and explain how it can be applied across a range of products.